We spoke with Amyx President Satya Akula; the Reston, Va.-based company is a finalist in the Contractor of the Year category for businesses worth up to $25 million. WashingtonExec: What is your organization’s plan for growth during the next three to five years? Satya Akula: In order to develop Amyx’s future five year growth plan, we first had to analyze Amyx’s history since 2011. Our original five year plan, developed in 2011, led Amyx to great success within the cybersecurity and application integration services areas. Today, nearly one-third of Amyx’s subject matter experts are assisting federal government clients with protecting their mission critical infrastructure. During the past four years, Amyx has invested in maturing and expanding our professional consulting services including program management, information technology, financial support and logistics services. This has yielded great successes in winning large, strategic, agency-wide and Government-wide contract vehicles, such as Defense Logistics Agency Program Management Support Services ($206 million ceiling), VA SPECTRUM (for which we were the only small business out of six awardees and has a $1.1 billion ceiling) and OASIS SB Pool 1 ($60 billion ceiling). Currently, Amyx manages four task orders under OASIS SB and 18 task orders under DLA PMSS. We are leveraging these IDIQ contract vehicles to respond to a variety of Tasks Orders, while forming alliances with industry leaders in the process. Maximize opportunities presented within our current IDIQ contract vehicles. For example, we conservatively estimate that OASIS SB Pool 1 will compete $10 billion to $20 billion of tasks supporting a wide variety of federal agencies during the next five years. We will strive to become the “go to” OASIS SB Pool 1 prime for both customers and teammates in the federal IT and management consulting sectors, as well as pave the way as we emerge into a large business. Focus on capturing and winning new small business IDIQ vehicles. Our business development team has a laser focus on some of the critical vehicles that will be forthcoming that will allow Amyx to magnify our small business status and to capture more task orders as prime. Become fully prepared for the full and open marketplace. We will leverage our key discriminators, such as our combination of CMMI-DEV Level 3 appraisal, ISO 9001/2008 Certification and soon our ISO 27001 certification to maintain the highest quality in all we do. Satya Akula: While many companies have looked to avoid the trend of Low Price Technically Acceptable (LPTA) procurements, Amyx has made a concerted effort to keep our management structure lean, which has allowed Amyx to bid competitively while maintaining salaries and benefits that are above industry standards. Highly competitive pricing, combined with our key certifications that drive best practices amongst our teams and superior past performance, has enabled Amyx to be in an ultra-competitive position within this tough environment. One of our key focus areas is cybersecurity. Our younger workforce today is better suited to take on these challenges, through higher education and certifications, than perhaps our more tenured leadership. This makes for a wonderful symbiotic team. Satya Akula: Without a doubt, the fastest growing component of our business is cybersecurity support services. Amyx has hired industry-recognized experts who apply their expertise and field-tested experience to solve our customers’ most complex problems. As an example, Amyx’s recent award supporting the U.S. Air Force’s Cyber Protection Teams is literally expanding our presence across the entire globe to combat some of the most complex security issues using approaches such as threat emulation to remove adversary activity. Amyx has also moved into high-end software development and several other IT services; thus, building our practice with experts supporting mission-critical programs. 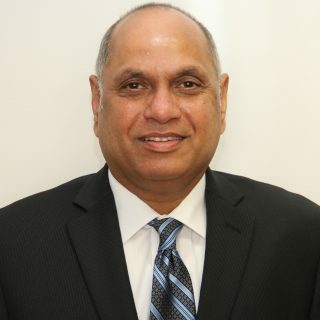 Satya Akula: One of our greatest accomplishments this year has been winning and successfully staffing several large contracts on the OASIS SB Pool 1 vehicle, showing our ability to compete amongst a large pool of highly qualified vendors, quickly respond to Task Orders, and delivering certified personnel throughout the United States within just a few weeks of contract award. In August 2015, we staffed more than 30 full-time equivalents who are supporting the Air Force’s 38th Cyber Readiness Squadron (CYRS). We also provided professionals in every U.S. state and territory for the National Guard’s Employer Support of the Guard and Reserve (ESGR). During the summer, we added dozens of hard-to-find financial experts in multiple cities on our Securities and Exchange Commission (SEC) task. This speaks loudly to our capabilities and reputation, across both the civilian and defense markets and also mature and effective back-office support functions. During this growth, we have made significant strides on our policy to “promote from within.” We have internally promoted three of our best and hardworking managers to the Director level, providing them with the critical responsibility of leading multiple projects within a vertical. But one thing hasn’t changed … our No. 1 priority is to exceed our customer’s expectations on every contract and every task. Without exceptional past performance, no marketing approach would ever become successful. Satya Akula: Amyx is growing quickly, thus will be out of small business size standards very soon. Our largest challenge at that point will be to then take advantage of the growth; invest in ever-changing technology, infrastructure, and mid-level key management; and stay competitive while entering the “full and open” market. Satya Akula: Simply put, YES. With an increased focus across the board on revenue and a diminished number of contracts and budgets, M&A will be a key source of growth for many large, medium, and small businesses. That being said, Amyx’s growth has been 100 percent organic. Amyx will remain focused on our key growth areas and providing outstanding service and quality to our clients. Satya Akula: Despite Amyx’s growth, we still operate internally as a small, but effective company, with a core leadership team that communicates personally with all of the employees. For example, every Friday I send out the CEO message of the week to every employee. The weekly letter acknowledges our employees’ achievements, efforts, and dedication to the success of Amyx’s customers, which we believe helps to maintain our “All-in” attitude. Amyx also organizes several social and team-building events during the year. Employees participate in local programs and community service events. As a corporate goal, my senior managers and I will meet our on-site teams to discuss challenges, corporate benefits, tools and any other topic of interest to them. Amyx also believes in one-on-one mentoring of the younger generation to build Amyx’s next level leaders. Thus, I encourage all leadership to engage with employees, and in turn the employees to engage with each other. Finally, unlike many other employers who have cut back on benefits during the past five years, Amyx has improved its benefits every year, including assuming a larger share of health insurance costs, increasing 401(K) matching funds, etc. Satya Akula: Regarding strategic plans, the answer is NO, but more clearly stated, it has helped our strategic plan. As mentioned previously, one of our key focus areas is cybersecurity. Our younger workforce today is better suited to take on these challenges, through higher education and certifications, than perhaps our more tenured leadership. This makes for a wonderful symbiotic team. Regarding corporate policies, this is more a reflection of the environment we support, versus an emerging number of millennials. For example, depending on the nature of work, many of our staff work remotely. This allows our team to support our clients from anywhere, while remaining competitive with our rates, which is a plus to our younger staff. Healthcare on Wheels Health Fair volunteers assisting the residents of southeast and southwest Washington, D.C.
Amyx employees are also active in both professional and community activities. Our employees are members of groups like NDTA, Professional Services Council, SECAF, TiE-DC, NCMS, PMI and AFCEA, and of course, the Fairfax Chamber of Commerce. Our employees also serve important roles in their communities as coaches, Scout leaders, mentors, and other vital volunteers. WashingtonExec: Is your business involved in cultivating our local National Capital Region (NCR) pipeline of young STEM professionals? Satya Akula: When I was the president of TiE-DC Chapter, I initiated the TyE (TiE Young Entrepreneurs) summer camp for high school students. This is a mentoring program for students to participate in a workshop where successful entrepreneurs and local business leaders mentor students in taking their ideas to viable business plans. Additionally, our chairman Scott Amey started a Career Center at the George Washington University’s School of Engineering and Applied Science. Each year, this center helps both undergraduate and graduate students obtain internships and full time jobs, many of which are with GOVCON companies.